The news of Dr. 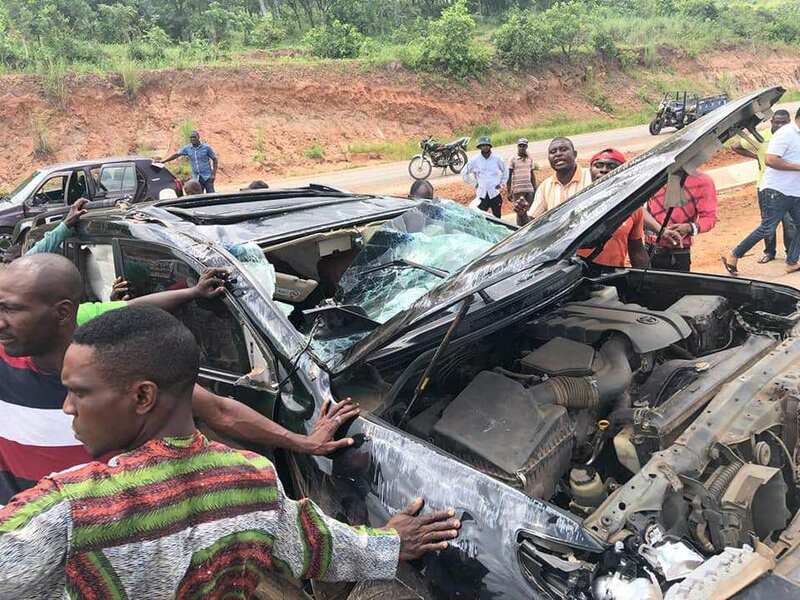 Blessing Agbomhere's involvement in an auto crash along Lokoja/Abuja express way on Thursday, came to many as shock, particularly the people of Etsako, in Edo State, many of whom had wished him safe journey a few hours before the unfortunate accident that claimed three souls. The only part of the news which consoled family members, friends, supporters, members of the Edo State chapter of the PDP and Etsako people was that he survived the crash mysteriously and many who saw the amount of damage done to the Land Cruiser SUV wondered how he was able to make it out alive of the car and unhurt. While speaking to OLIKA REPORTERS in Abuja, the 2019 Etsako Federal House of Representatives hopeful, asserted that his survival was actually mysterious to him. 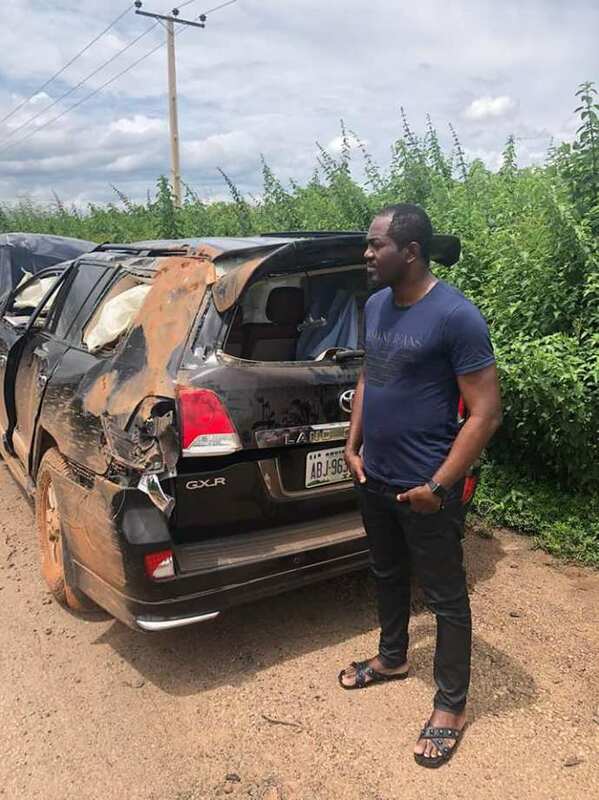 According to Dr Agbomhere, "I was on holiday to my hometown to celebrate Salah with my people, while returning back to Abuja, this happened". He said; "I must confess that only God could have saved my life from that particular accident and I give all the glory to the Almighty God, without Whom, I may not have been alive today". "I also thank the good people of Etsako for their love, prayers and thanksgiving to God on my behalf". 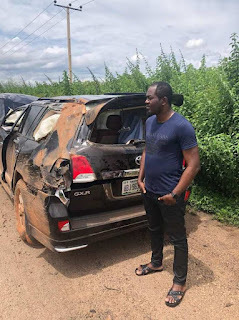 Narrating how it happened, Dr. Agbomhere told OLIKA REPORTERS that he left Auchi that faithful day hoping to get to Abuja on time, but had the car crash around 1: 25 pm between Lokoja and Magajiya Village in Kogi State when the SUV stepped on the ridges and construction defects on the express way. Agbomhere went further to blame the dilapidated state of the road as the cause of the accident and vowed to sue the Federal Government for their failure to fix roads where hundreds of Nigerians lose their lives daily and queried why would someone who is an ardent tax payer be made to experience terrible situation as this. He said; "My escape from death as a result of bad roads has further inspired me to continue the crusade against corruption in Nigeria. If the roads were properly constructed and in good condition, the accident wouldn't have occurred". 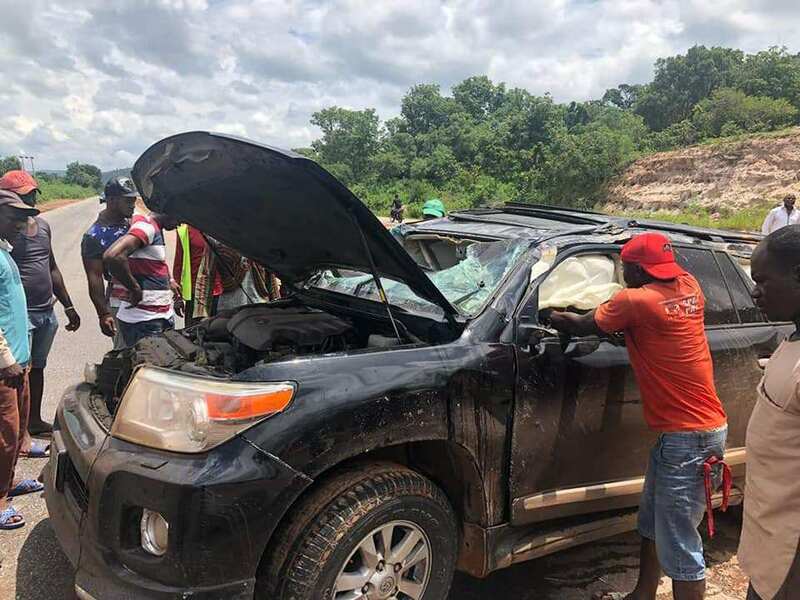 "Rather than complain, this accident has challenged me again to fight Nigeria's systematic corruption that has kept us in this condition where bad roads and poor construction in Nigeria is claiming several thousands of lives, lives that would have transformed our nation for greatness". "I am consulting my lawyers, as I may sue the Federal Government for the bad roads that caused the car crash".